Yesterday started early as I picked up the stamps, folders and envelopes from the Kuala Lumpur GPO. Then it was off to Melaka. The traffic was smooth leading to Dataran Pahlawan. Parking was a bit harder and I finally had to settle for the parking at the hill next to the Stadhuys. The exhibition and sales area was a bit hard to find if you come via Stadhuys. It is actually directly opposite the Hatten Hotel. Just go in via the door fronting Hatten Hotel. Then take the first escalator on your right to go up one floor and you will be directly at the site! 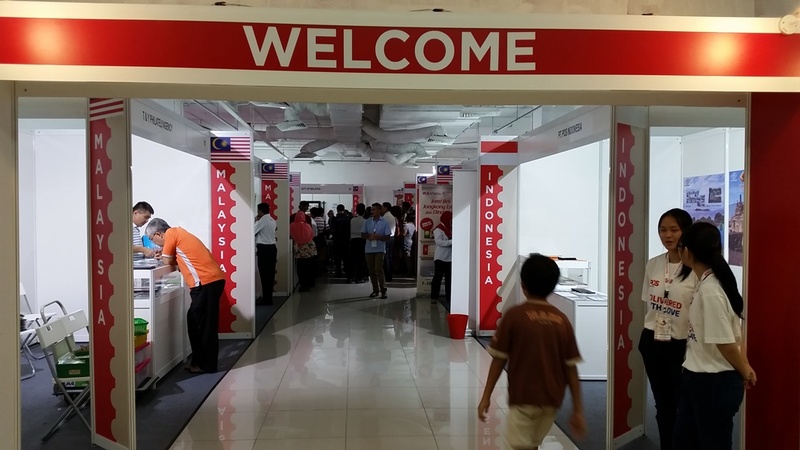 This is the MCMC and Pos Malaysia’s main booth where the current issue is on sale (including the miniature sheet). 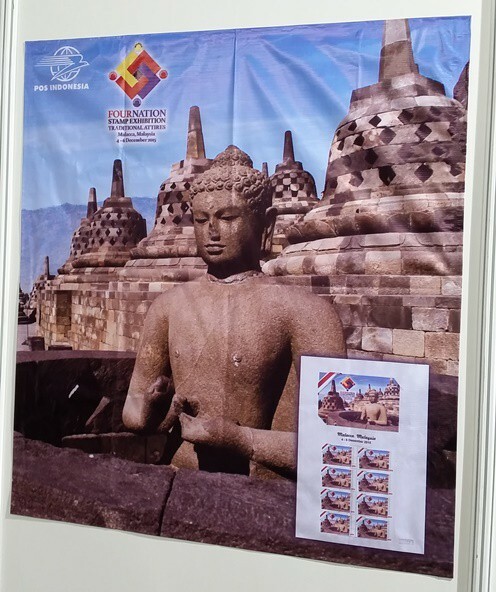 Let me give you the first tip, go straight to the MCMC booth to join their activity and if you win you will receive a really limited exhibition postcard with the image of the MS and an ASEAN Community stamp. This postcard is what money cannot buy. On the right of the photo is the exhibition area. There was an initial shock of the miniature sheet running out but in a short while new stocks came to replenish those sold out in the morning. The official fact sheet puts the miniature sheet at 15,000 pieces divided between the exhibition site and SODA! Thus the mint miniature sheet should not be a problem. The harder to find will be the MS on FDC! Turning round the corner on the left of the picture above, will bring you to the main entrance arch. 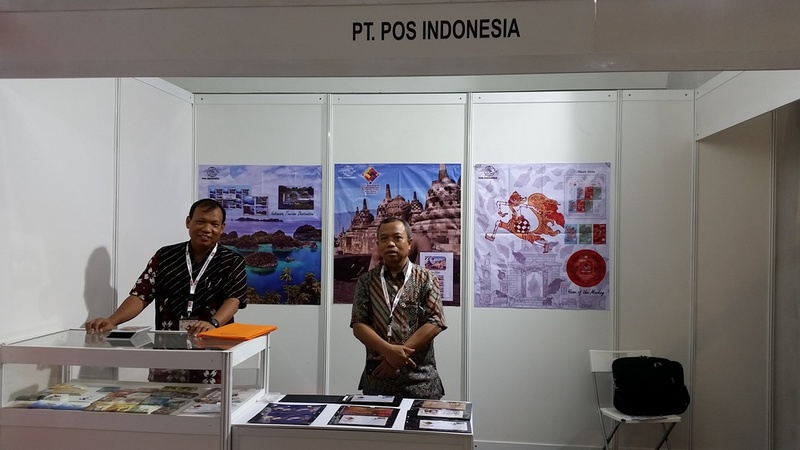 Pos Indonesia is located at a strategic first spot! They have a good selection of full sheets in the orange folders that you see in the picture below. Just behind the 2 gentlemen are the posters of the Four Nation issue (middle poster) and Year of the Monkey issue (right poster). Hot news: Pos Indonesia’s Prisma (similar to Setemku) was sold out by about 01:00 pm! This is how the Pos Indonesia Prisma stamps look like (RP 2,500 and RP 3,000 sheets). However some FDCs are still available. 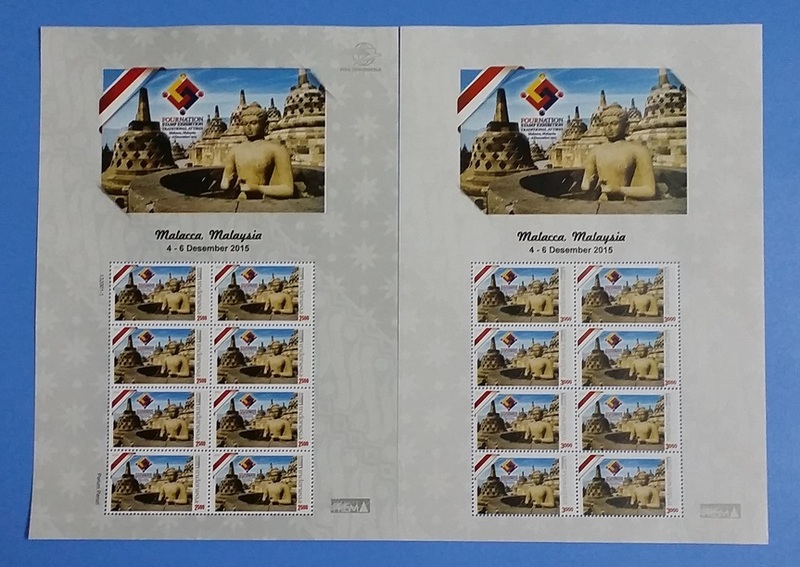 Pos Indonesia used the RP 3,000 stamps to make the FDC. The rest of the booth were taken up by dealers. Notably Dreaminder, Govin and T&Y were present. Wanglama participated as well. 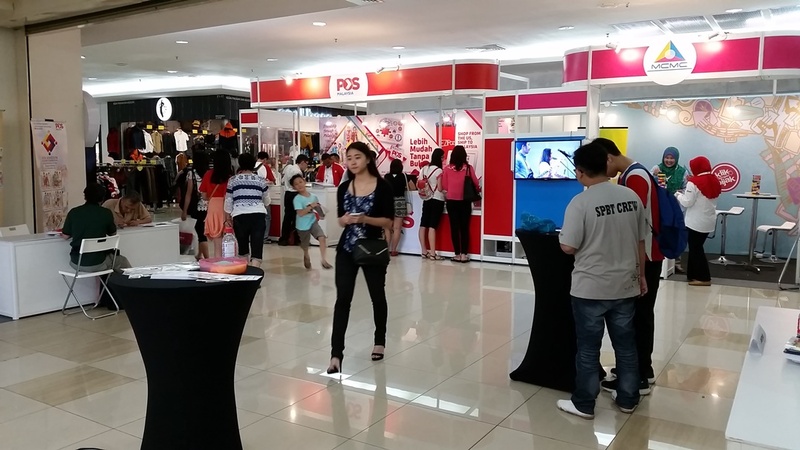 At the end of the corridor of dealers is the PSM booth. 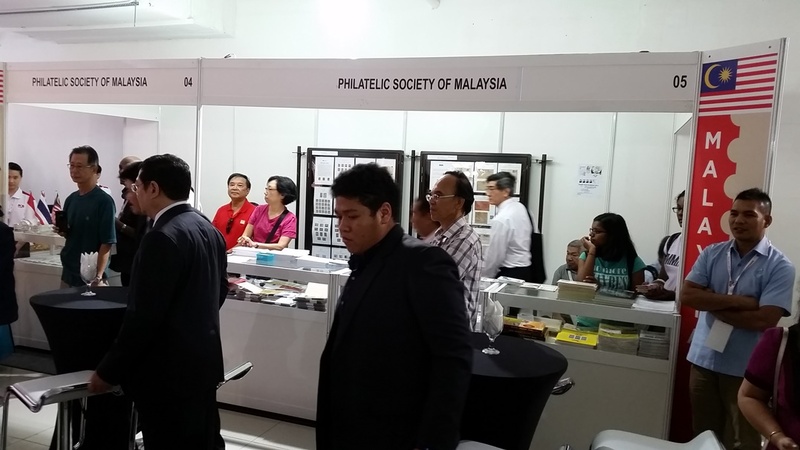 Within the PSM booth (on the left side as you approach the booth to be specific) is where you can buy the Singapore stamps with the Singapore World Stamp Exhibition cover cancelled with the Singapore Post “E” rubber circular cancellation. PSM brought many of their stocks for sale at the exhibition. Back to the PSM booth, this is where you can pick up the exhibition postcard. 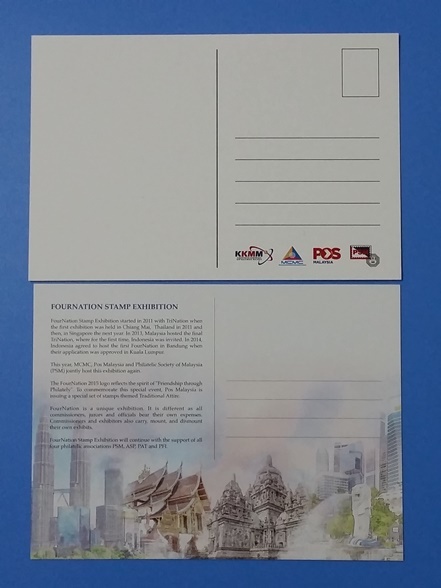 Here are the front and back of the MCMC postcard (top) and PSM postcard (bottom). This is the standard format of an Exhibition First Day Cover. Surprisingly there was nothing from Thailand Post. 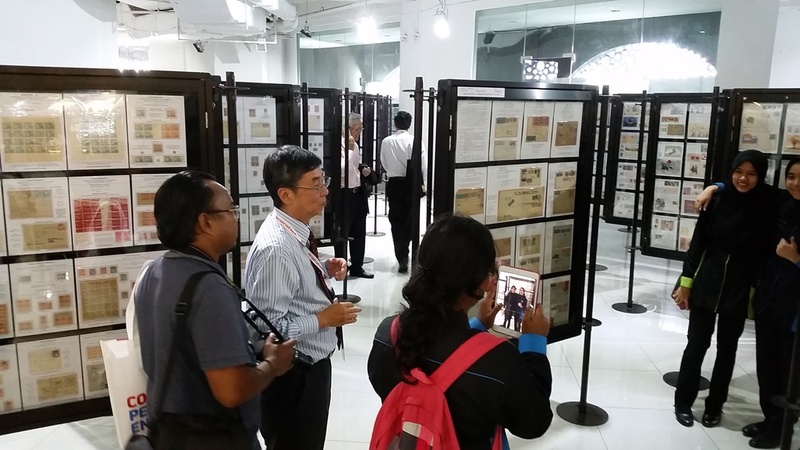 At about 03:00 pm, the exhibition was officiated by YB Datuk Wira Latiff, Exco Information, Communications & Co-Operative of Melaka. The exhibition is open from 10:00 am to 10:00 pm. Stay tuned for Monday evening! I will update with the finished covers. 1. Thailand Post cachet cancellation is now available. 2. 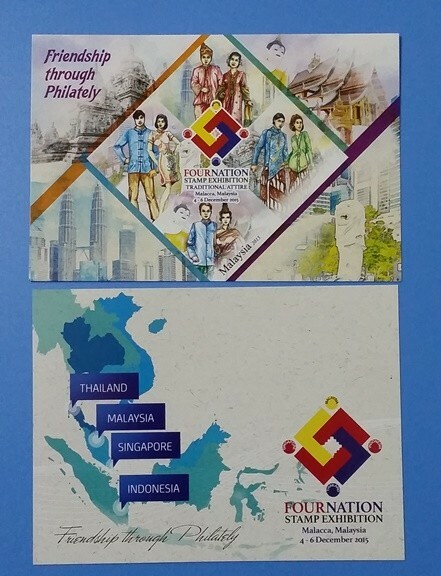 Malaysia Miniature Sheet is now sold out. That makes the MS FDC harder and the mints plentiful as SODA stocks have been reserved. Singapore Post representative was kind enough to let the collectors finish off their exhibition covers. They left in the afternoon. Thailand’s csncellation was handled by PSM. 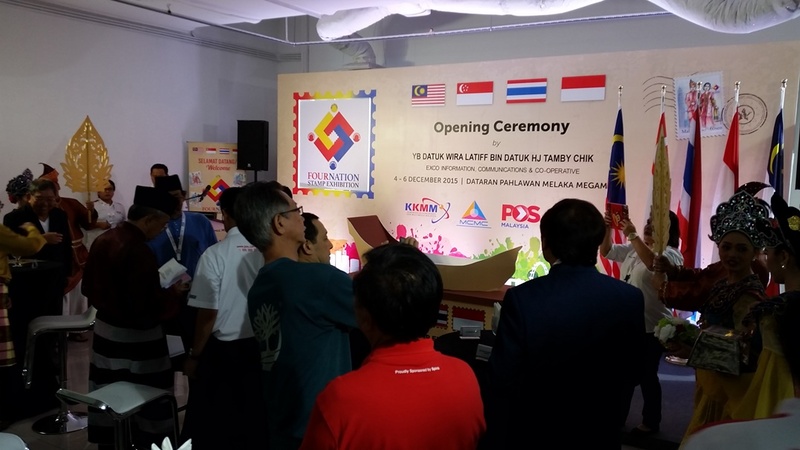 The Malaysia MS was sought after. Most stocks were taken up by the dealers at the exhibition. Here’s a tip. If you collect mint MS, wait for Pos Malaysia to release the SODA stocks. 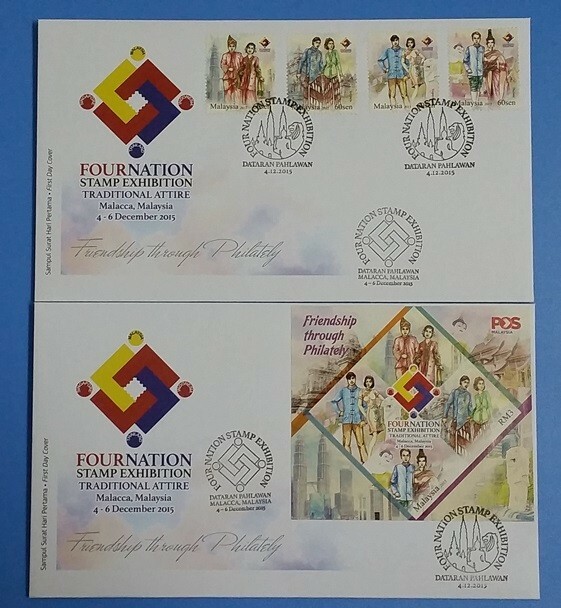 If you collect FDCs….well, tough luck. The Indonesia sheetlet was also sought after. The only way is to buy the ready made Indonesia exhibition covers. There are considerably more attendees today including those from Thailand.